Bartolini's PBF guitar pickup line offers smooth, vintage humbucker tone with specific pairs tuned for the main genres of music. Bill Bartolini collaborated with Ed Reynolds on the design of PBF pickups. Ed was a builder of excellent guitars and basses and a topnotch repairman in the Chicago area in the '70s and early '80s. He has continued his work in the Austin, Texas and now focuses exclusively on electric guitars. The PBF-57 is well-suited for jazz. The Jazz Guitar Pair - the PBF-55 neck and PBF-57 bridge provide the same focused lows of the Vintage Pair, but with a softer, more rounded, warmer, more diffuse attack. The "55" and "57" pair is highly recommended for jazz and jazz/rock applications, or for smoothing out the harshness of some heavier solid bodies. 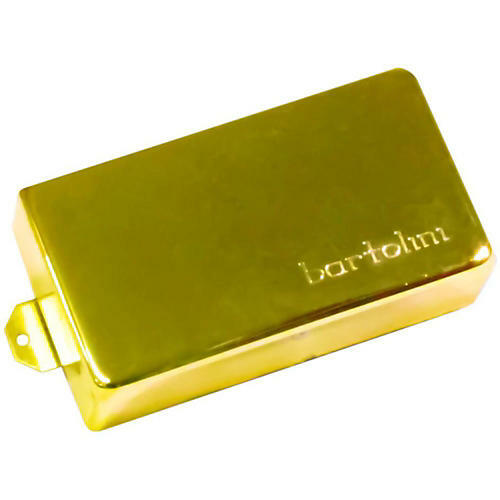 PBF pickups are available in Chrome-Plated, Nickel-Plated and Gold Plated covers. Their traditional, clean appearance will look equally at home in your '59 Paul, semi-hollowbody electric, or your Heavy Metal machine. For those who prefer the unbridled tone of uncovered pickups, they are available in ABS covers in black or white colors.